As a parent, your life is extremely busy and there is no such thing as a quiet and relaxing day since kids keep you on the go at all times. What this means is that parents are always happy to find ways to make their day smoother, easier, and just more convenient overall. Because so much of our time is spent in the kitchen preparing meals, wouldn’t it be great if there were some kitchen appliances and tools designed to make life easier for busy parents? Not to worry as that’s exactly what we’ll be covering here as we take a look at the top must-have kitchen appliances and tools for busy parents out there. Kids are notorious for leaving all kinds of food on their plate after each snack and meal, so to make your life easy, it could be wise to invest in a garbage disposal unit. Using one of these will help to cut down on the amount of waste your family produces, as it takes all those leftover food items and makes short work of them. While the 1 2 HP garbage disposal unit is a popular size for most kitchens, it’s a good idea to do a little research on what size unit would be best for your needs. No matter how young or old your children may be, the food blender is another one of those must-have kitchen appliances. While your children are still very young, you’ll be able to make homemade baby food in the blender, which is healthier and more economical than store-bought food. With toddlers, you can hide all kinds of healthy ingredients in smoothies; and then as busy teens, those same smoothies can be packed full of their veggies and fruit for the whole day. Blenders come in all sizes, price points, and with various blending pre-sets. Make sure you give thought to what you want it to be able to do beforehand so you know what features are important to you. This is one of those kitchen appliances that you may not realize how important it is until you actually get one. Slow cookers can completely transform the way you prepare and cook your meals, massively cutting down the amount of work and effort on your part. Create delicious pasta, stews, chilis, roasts, and so much more. As their name suggests, slow cookers work by slowing cooking your food over the span of six to eight hours at a low temperature. They create dishes that are fall-off-the-bone tender, which also means you don’t have to do much in terms of chopping and preparing in advance. Allow the slow cooker to break things apart naturally as it cooks. Each of these kitchen appliances is sure to make your life as a busy parent much smoother and easier in the kitchen. When you spend less time in the kitchen preparing, cooking, and cleaning up after meals, it means you’ve got more time available for all the other things in your life. 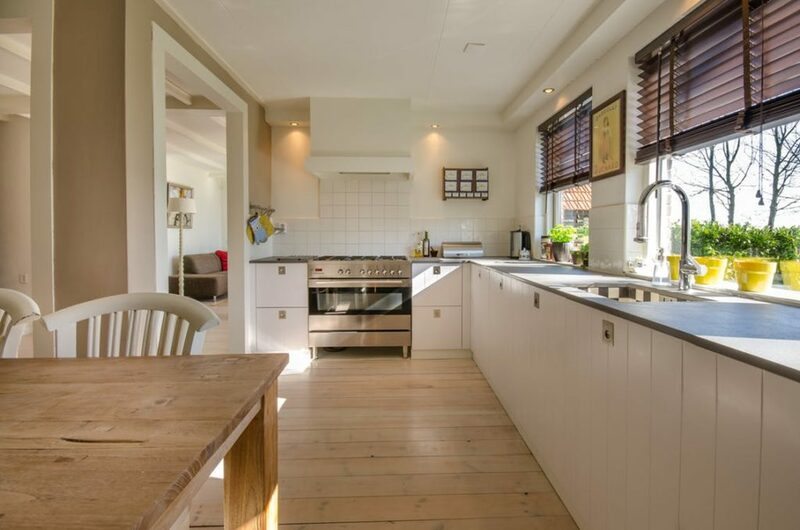 Your kitchen is often the hub of activity in your home. It’s where people gather, where food is prepared and enjoyed, and it tends to be a source of warmth and comfort. With that said, keeping your kitchen in tip-top shape can help to ensure that meals go smoothly and everyone can enjoy themselves. This is exactly why you want to be sure you’re staying on top of your kitchen maintenance. So, what exactly is kitchen maintenance? What should you be doing, how should you do it, and how often should you go about this maintenance? Let’s take a closer look. When you think about the room in your house that takes the most beating and has to work the hardest, the kitchen is the answer. It is used many times a day by everyone that lives in the house. That means all those small and big appliances are constantly working without getting much of a break. Kitchen maintenance is kind of like a doctor’s check-up. It’s a chance for you to examine the appliances, make sure they are running properly, and have them fixed if there are issues. Kitchen maintenance doesn’t have to be a monthly, bi-monthly, or yearly thing; it can happen on a daily basis. Kitchen maintenance starts with the smallest of things and then goes from there. The main goal is to keep things clean, working properly, and identify problems before they become a big issue. 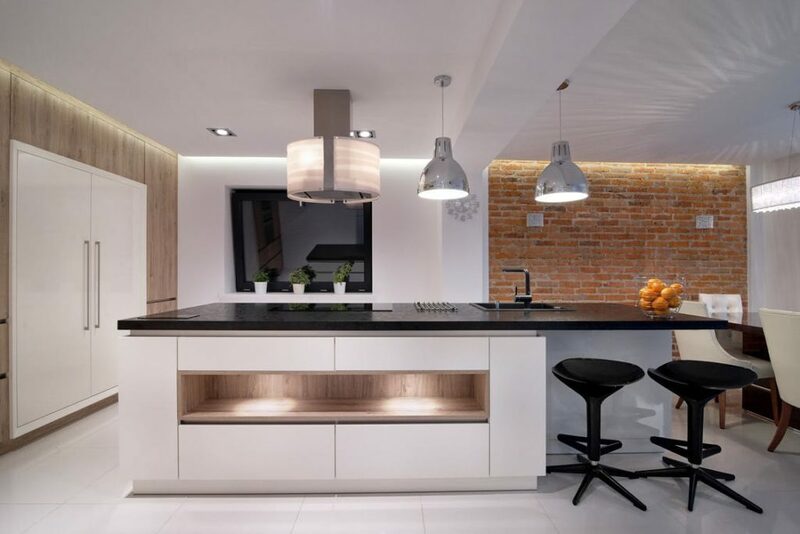 Here’s a look at some simple kitchen maintenance tips you can start to use. Clean up on a daily basis. What this means is that you’re cleaning off the counter, cleaning out the dishwasher, cleaning out the sink, etc. This prevents food from building up on surfaces, which can start to stink and even get mouldy. A good example is a dishwasher. If you don’t have enough dirty dishes to justify running it daily or every-other day then it’s probably better to hand-wash them so the food doesn’t stick to things and start to decay. Be mindful of how your appliances are performing. If your fridge is starting to make some funny sounds or your oven doesn’t seem to be cooking properly, then it’s probably time to call in a maintenance and repair person. It could be a very simple fix or something a bit more involved. Appliance repair specialists will have the tools and knowledge to assess and then fix the problem. It’s much better to call them in as soon as the problem starts so it doesn’t get worse and more expensive to fix. Make sure you are using the proper cleaning products and tools. If you aren’t using the right cleaning products to clean your oven, for example, then grease and grime will just continue to build and eventually cause your oven to stop working properly. Speaking of cleaning it’s also wise to perform regular deep-cleans of your appliance. This doesn’t need to be done weekly unless there is a spill, but once a month, give your appliances a really good clean. This means emptying them out and making sure you’re getting in all the cracks and corners. The final tip is that you ask everyone in the house to be following the same habits so that the kitchen is being treated well by all. It’s important you don’t pick just one of these tips to follow. Rather, you need to follow them all. Remember, your kitchen takes a lot of abuse so if you want it to stay in tip-top shape, you need to put a little work into it. Why is there a foul odor coming from my drains? You’ve given the kitchen a complete cleaning, and yet you still smell some lingering odors. Puzzled? Try sniffing the drains. A lot of mysterious kitchen smells are coming from hidden sources down in your pipes. From Los Angeles to Sydney, plumbers are often called for this simple problem when you can easily take care of it on your own. There can be a few reasons why you are getting bad odors in your drains, though the main one is that there is a blockage or clog of organic material that smells. It’s not enough to actually block the water flow, but even a small build-up of food waste can start to rot and that’s what you’re smelling. 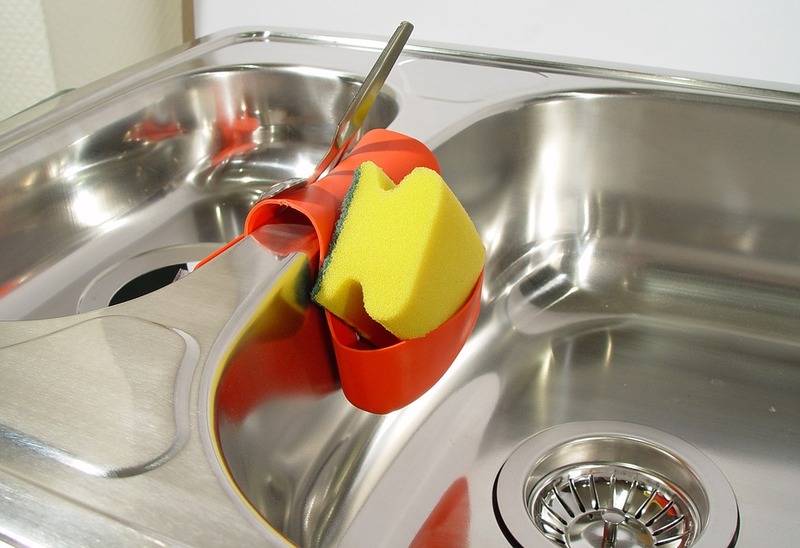 In particular, this can be a real problem if your kitchen sink has a garbage disposal. Food waste constantly gets clogged in it, and without proper cleaning, it will start to smell. There is a small chance that you may have a more serious problem with sewage, but it’s highly unlikely. The best approach is to clean out the drains and see if that fixes the problem. If not, then call the plumber and see if there is more going on. Now that you have an idea why there are odors coming from your drain, you can take a few simple steps to get the problem cleaned up. As we mentioned, garbage disposals are a special concern for drain smells. Let’s deal with that first. A popular technique for cleaning disposals is to take a handful of ice cubes and/or a quartered whole lemon (rind and all) and run through a cycle. The chunks of ice will break away any food clogs and the lemon will remove grease as well as freshen up the smell. For the drain with no disposal, you have to take a less vigorous approach. A simple trick can be pouring a full kettle of boiling hot water down the drain. The heat will almost instantly melt any grease, which is usually the glue that holds food clogs together. When the clog washes away, the smells go too. This is a great and easy technique that you should do every week to prevent any problems rather than wait until you smell something. Another trick is to pour vinegar down the drain, as the acid will kill a lot of bacteria that can be causing smells. For a stronger approach, pour about half a cup of baking soda down the drain and then follow up with the same amount of vinegar. The fizzing will break up small clogs and free any food build-up. And don’t forget that drain basket. It’s a great tool to keep food out of the drain, but it can get pretty disgusting itself (especially the bottom side that you don’t see). Give it a good scrubbing once a week to keep it clean and smelling fresh. If you don’t have a drain basket, that could be part of the problem since all sorts of food bits and other material is ending up down in the pipes. Try getting a strainer basket and see if it helps with future smells, just give it a wash now and then.